Key Selection Criteria (KSC) are a series of written questions or statements in the job application process that help make the best match between the applicant and requirements of the advertised role. KSC usually must be responded to in the job application process, and invitations for interviews are usually based on your Resume and your responses to the KSC, consequently it is of utmost importance that you learn to respond well to KSC. Why do we need Key Selection Criteria? Firstly they are required to help employers match potential employees with the advertised role, and make decisions on whom to interview. Secondly, they can help set the tone for the interview, with interview questions often relating to items listed in the KSC. They can also be very useful for potential applicants, as they lay out the skills and attributes required for the role, often offering extra insight to the advertised position (on top of the position description). 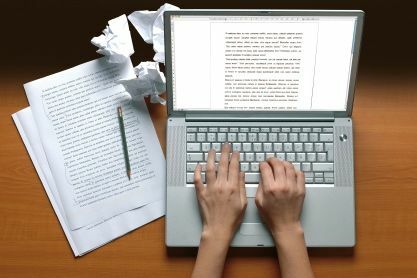 How to answer Key Selection Criteria? As your answers to KSC can determine whether or not you land that interview, it is of utmost importance that you learn to respond to them in an appropriate manner. To help you on your way to writing a kickass KSC, the Vic ALIA Students and New Graduates committee is hosting a KSC Seminar where we’ll hear advice from industry professionals on how best approach KSC. about how to prepare winning responses to Key Selection Criteria and land that interview for your dream job. Our experienced panel will provide you with their unique perspectives on this very important process, allowing you to stand out from the crowd. SA event: ALIA SA & SALIN Quiz Night! Brush up on your 001s*, and get ready for the Quiz about everything in Adelaide this month! This is a licensed event, so you are welcome to BYO alcohol. 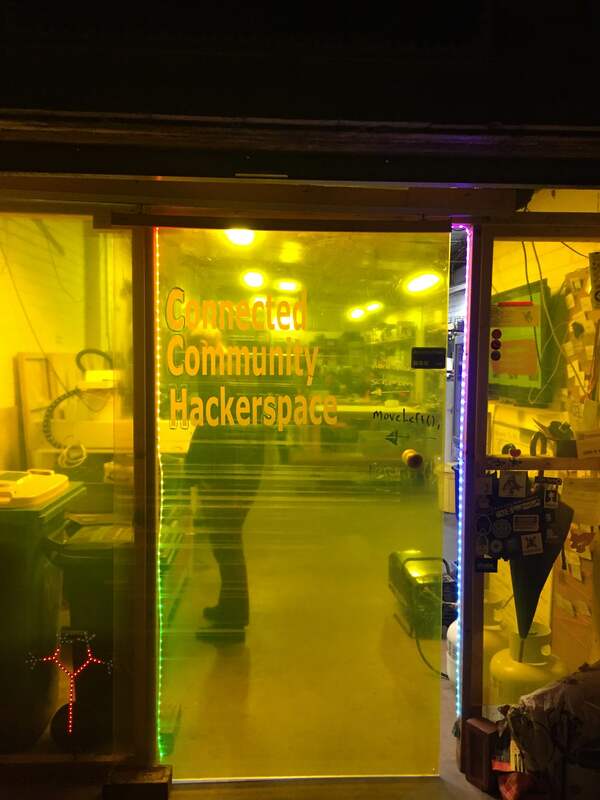 Last Tuesday a group of bright-eyed ALIA Students & New Grads (VIC) ventured down the back lanes of Hawthorn to the Connected Community HackerSpace (CCHS). What we found there blew our minds! So what is the CCHS you ask? Well in short it’s a community operated workshop dedicated to all things DIY technology (but there’s a whole lot more to it, so I suggest you look it up). Other spaces similar to HackerSpaces (and there’s a lot of overlap and debate on definitions) are often called MakerSpaces, TechLabs and FabLabs. These spaces are becoming increasingly more common in libraries around the world, and so we thought visiting CCHS would be a great opportunity to learn more about them…and it really, really was! 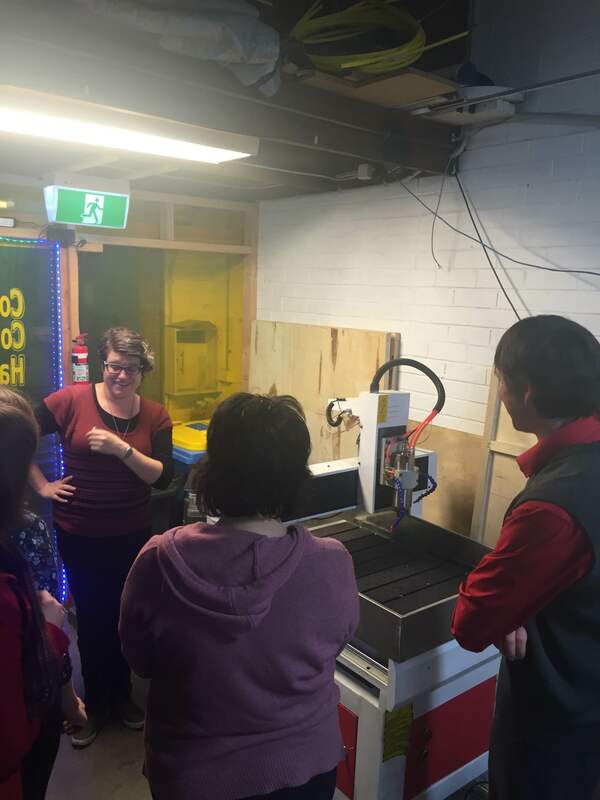 When you walk into CCHS it basically looks like a super organised, slightly crowded, well-equipped workshop with everything: 3D printers, lathes, laser cutters, CNC mills and so much more! We were lucky enough to get a comprehensive tour of the space by members Jennifer and Gil, and they showed us the huge range of awesome equipment available for use within the CCHS. 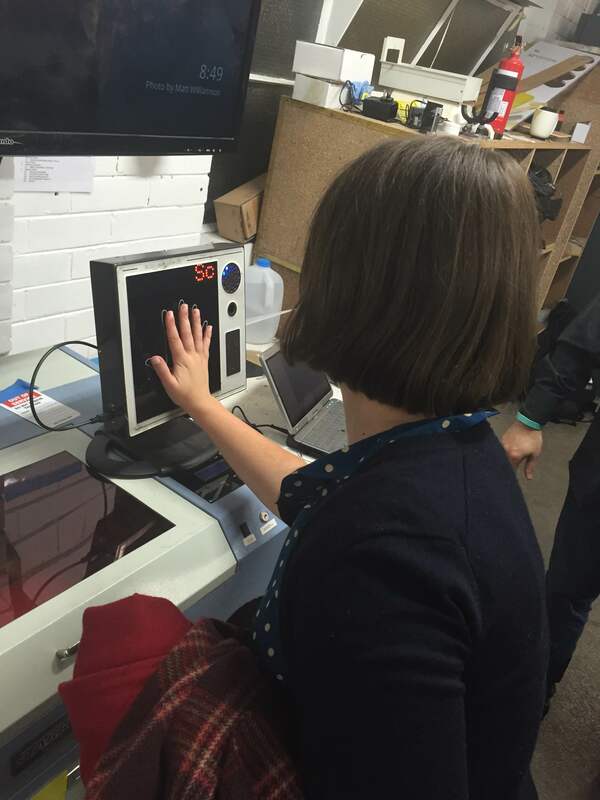 Jennifer showing us the machines! The CCHS is run by enthusiastic volunteers and its facilities are funded by membership fees and supported heavily by donations of equipment, materials and expert knowledge. The best part about it is that anyone can join, you can pay membership fees and become a regular member with full access to a huge range of equipment and the vast knowledge base of other members, or you can visit at specified times for the low cost of $10 for a casual visitor. With the pooled resources of members, the space offers so much more than someone would usually have in a personal workshop (let’s be honest…how many of us can really afford to have a 3D printer, a laser cuter and CNC mill at home?!). What happens at CCHS? So much! The members work on their own projects such as drones and zombie infection scanners (yes that’s right!!! ), but they also work on group projects. One of the main ideas behind the CCHS is that you can accomplish so much more with a bit of collaboration. Basically if you have a project you’re working on and need assistance, there will probably be a CCHS member who can and will help…now how cool is that for collaboration! 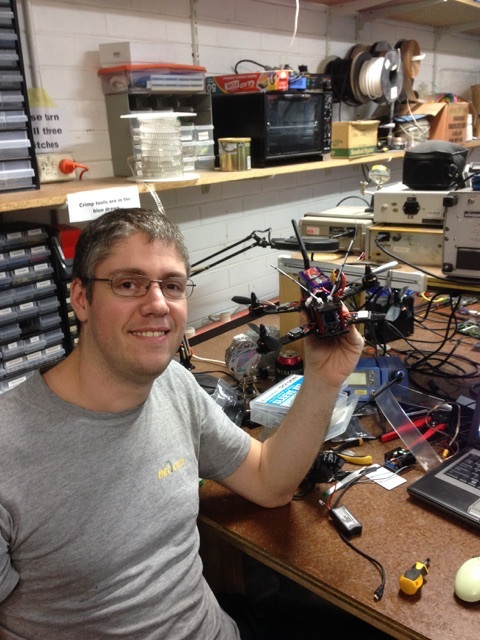 Tim and his hand built quadcopter! If you’re interested in learning more (and you should be), go check out the CCHS website: http://www.hackmelbourne.org/ and better yet, go visit them! If you’re not from Victoria or Hawthorn is a little hard to get to, there are other HackerSpaces and MakerSpaces around, do your research and go check them out! A HUGE thank-you to Jennifer & Gil who very kindly gave us a wonderful tour (go check out their awesome blogs!). The latest New Librarians’ Symposium is being held in Sydney on 24-26 July 2015. The theme this time around is Trajectories. While most industry conferences cater for the interests of established professionals, NLS is aimed specifically at graduates and students. So what’s in it for me you ask? Here’s a few reasons to pack your bags and get ready for take-off! See things from a different perspective; the presentations will be stimulating! It’s aimed at newbies, so it won’t fly over your head. Want to read more? Check out the NLS6 blog for an idea of the last NLS. 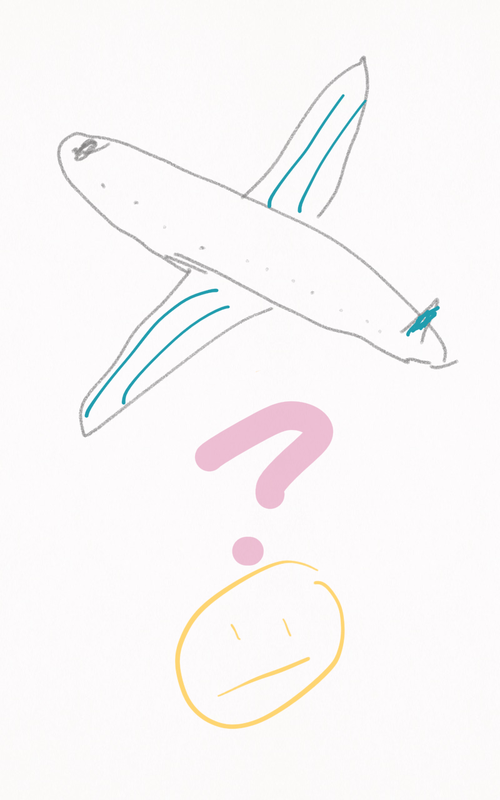 It also has a cool idea for picture note taking, which I have borrowed for my poorly drawn plane picture. Have questions? Check out the NLS7 website, or send me an email. Further details will be available as we move closer to our departure date. Have an active interest in professional development in the Library & Information sector. Build on and diversify your transferrable skills by providing input to regular reports, promoting events, displaying leadership for your peers. Report on events to the NGG using the appropriate Google Docs, and at NGG teleconferences. Being a Regional Coordinator is a professional development opportunity and a fantastic opportunity to grow your personal learning networks. Points may be gained as part of the ALIA PD Scheme or may form part of a professional practice component of your information studies course. Plus, you can add the role to your resume/ CV and demonstrate your active engagement in the profession! : Note: You need to be an ALIA member to be a Coordinator. Grab a discounted student rate! To apply, just tell us in 200 words or less why you’d like to be a Regional Coordinator and what you think the New Graduates Group means to the profession and newbies. Applications close Friday 31st October 2014.